Here’s How Your Startup Can Slash Credit Card Processing Costs. For most entrepreneurs launching startups, maximizing cash flow is priority number one. You need to minimize costs while encouraging as much income as possible. Accepting credit and debit card payments from prospective customers can be a great way to boost cash flow because using them encourages people to spend more and, in an economic environment in which cash is slowly disappearing, can make impulse buys much more feasible. However, credit and debit card processing doesn’t come without costs. You need to keep those costs as low as possible, so you can put more of the money you earn back into your business. To do that, you need to understand the transactional and other fees merchant services providers charge and decide which fee structure and provider is best for your business. Make sure you’re compliant with industry data security standards and keep fees low by taking these steps to prevent customer chargebacks. The fees merchant services providers charge for credit card processing can be confusing and complex. Most merchant services providers use one of three fee structures: flat-rate, interchange-plus ortired. Flat-rate is the simplest fee structure, and it’s the one favored by services like Square or Due. Regardless of the type of card or transaction you process, you pay a flat fee, usually a percentage of the transaction. Square, for example, charges merchants 2.75 percent of each transaction processed. Interchange-plus fee structures charge a percent of the transaction, plus a fixed amount in addition; for example, PayPal charges merchants 2.9 percent plus $0.30. Tiered pricing is the most complicated and unpredictable, with transaction fees that vary depending on the card’s issuer, the way the transaction is processed and other variables that can be hard to understand and may end up blindsiding you. Most merchant services providers will charge fees in addition to transaction fees. These can include monthly processing fees, customer service fees, PCI compliance fees, and setup and cancellation fees. Some will also charge equipment fees although you should steer clear of any merchant services providers that want you to lease a card reader or other point-of-sale equipment; it’ll be cheaper in the long run to buy this hardware. A flat-fee or interchange-plus virtual merchant services provider will probably be the most cost-effective choice for your startup, depending on your sales volume and the average amount of your sales. While an interchange-plus provider may offer lower transaction fees than a comparable flat-rate provider, these providers are more likely to charge additional monthly service fees, setup fees, PCI compliance fees and customer service fees that will bloat your statement every month. However, your total fees will depend on the volume of your transactions and the average amount of the transactions you process. If you’re processing fewer than $30,000 a month in credit and debit card transactions, a flat-rate processor might be cheaper. But if you’re processing more than that — or you’re processing average transactions of $100 or more — you may be better off with an interchange-plus fee schedule, depending on the other fees they charge. Run the numbers before you make a decision. Complying with the Payment Card Industry (PCI) Data Security Standard established by major credit card issuers can save you money because it’ll help you avoid extra monthly fees that your merchant services provider can tack on if you fail to perform compliance activities. Compliance standards vary depending on the size of your business, but compliance does more than minimize your monthly fees. It could also save your business in the event of a data breach, protecting you against the fees and fines you could incur if it’s discovered that your company wasn’t PCI compliant. 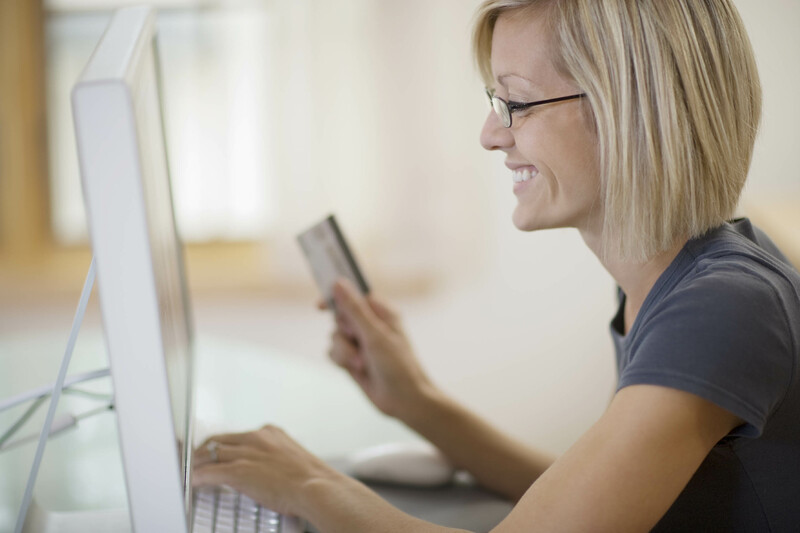 Finally, to cut credit card processing costs, you may want to consider loosening up your refund policy. If a disgruntled customer disputes a credit card transaction with their card issuer, it could end up costing you more than if you just gave them their money back. Chargebacks, which occur when a customer calls their credit card issuer to dispute a transaction and request a refund, could cost you not only the sale price of the goods or services in question but also about $40 in fees levied by your processor for the trouble of refunding the customer’s money. Plus, if you get too many charge backs, you could end up losing your merchant services account and ability to accept card payments. It’s one thing if you’re selling big-ticket items, of course, but if you’re selling low-cost goods and services it may be cheaper to just mollify the angry customer and give their money back. Credit card processing costs are just one of the many costs of doing business as a startup. Fortunately, the costs of accepting credit card payments can be well worth it. Shop around to get the best deal on processing fees, and offer your customers the ease and convenience of paying with plastic.